On Saturday May 4 the top horses in the country will gather together to run in the 139th Kentucky Derby, the first of three races in the chase for the coveted Triple Crown. 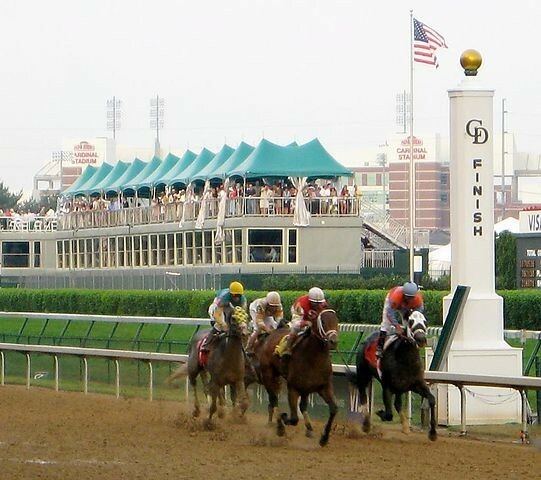 This year thanks to a rule change regarding Kentucky Derby qualifying races there will be no fillies allowed to race in the 2013 Derby. The young female horses are not banned from the Preakness or the Belmont Stakes. However not being allowed to race in the Kentucky Derby means that there will be no filly eligible to win the Triple Crown. Since the first Kentucky Derby in 1875 there have been a total of 39 fillies entered in the race. Three have won. Regret won in 1915. Genuine Risk won in 1980 and the last filly to win a Kentucky Derby race was Winning colors in 1988. No filly has ever won a Triple Crown title. According to the Washington Post the former rules for qualifying in the Kentucky Derby was based on the total amount of money a horse won during the year in a series of pre derby races. The new rules say that in order to qualify for the Kentucky Derby a horse will have to earn a certain number of points in a series of specific races. The Washington Post says that "no filly races are included in that group of races" needed to qualify for the Kentucky Derby. This no girls allowed rule for the Kentucky Derby is a shot in the arm to those who wished to see the filly Dreaming of Julia go for a Derby win and a Triple Crown. In her last race Dreaming of Julia won the Gulfstream Parks Oaks by 21 ¾ lengths. That is only 10 lengths short of Secretariat's record setting win at the Belmont Stakes in 1973. "She definitely has the wherewithal to do it." With Dreaming of Julia out of the Kentucky Derby the favorite for the win becomes Orb a 3-year-old colt from Kentucky. ESPN says that Orb is on a 4 race winning streak; his last win was at the Florida Derby on March 30. 21 horses will enter the gate at Churchill Downs on May 4. The winner remains a mystery but the desire to see one of the world's most beautiful animals run in a race and try to make history is well understood. Horses have a special place in the hearts of many people. For some the race is a spectacular event enjoyed once a year. To others they are a weekend hobby, a career or just a pet to spend some quality time with. Racehorses invoke an emotion in us that is strong and powerful. One of the most beloved racehorses of all time was Secretariat. His was an underdog story. In 1973 Secretariat made history by winning a Triple Crown and setting a record at the Belmont Stakes that has yet to be broken. Amanda Schiavo holds a B.A in History from Pace University and has been a member of the Latin Times team since May 2013. She is an amateur historian, an aficionado of all things Disney, is an animal enthusiast and an accomplished equestrian. Schiavo enjoys writing human-interest pieces and stories related to helping animals and animal rights. Schiavo has been a journalist for four years and has written for Brooklyn Today as well as several other publications.